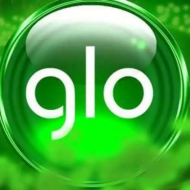 Glo Awoof! 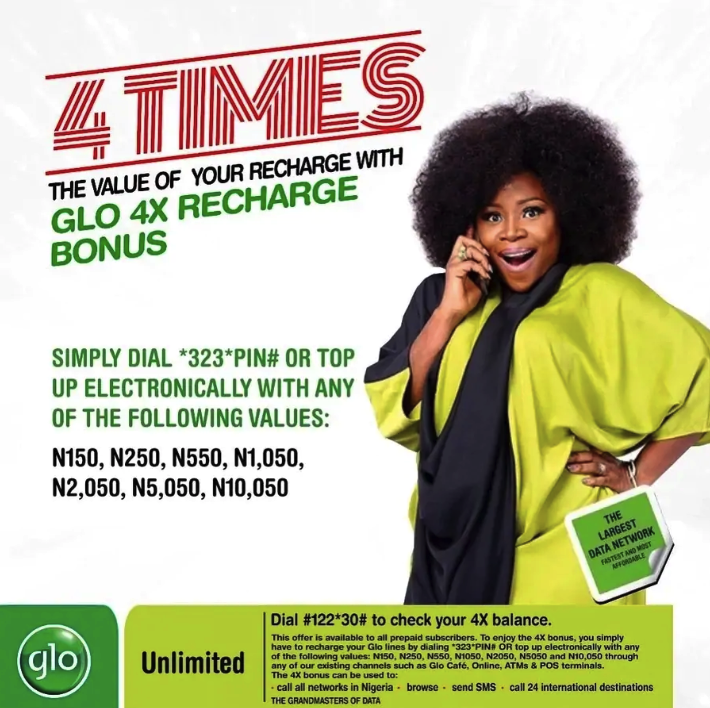 See How To Get Extra Bonus From Your Glo Recharge! 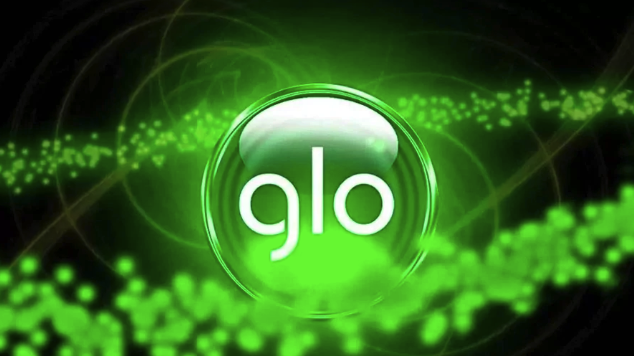 If you want to get more value from your recharges, find out about the Glo recharge bonus plans. We will tell you what options are available to you, what Glo recharge code to use and how much you will get thanks to each plans. Check it out! The first option is only available for new customers who have not migrated out of their initial Jollific8 plan. With this tariff, every time you recharge for ₦100 or more, you get 8 times the worth of your recharge. The second option is the special offer called Glo 4x. If you top up your phone with a specified amount (we will tell you about it later), you can get 4 times the value of the top up, no matter what tariff plan you are on. Now, let’s talk about each option in more detail. As we have mentioned before, 8x bonus is available for users who are on the Jollific8 tariff plan. It is only available to new customers or those who are yet to migrate out of it, as there is no way you can migrate back to this plan. For ₦100, you get ₦100 to your main account, ₦50 for calls to all networks, ₦450 for calls to other Glo customers, 25 MB of data and 10 MB of bonus data. This bonus is valid for 7 days. For ₦200, you get ₦200 to your main account, ₦100 for calls to all networks, ₦900 for calls to other Glo customers, 50 MB of data and 25 MB of bonus data. This bonus is valid for 7 days. 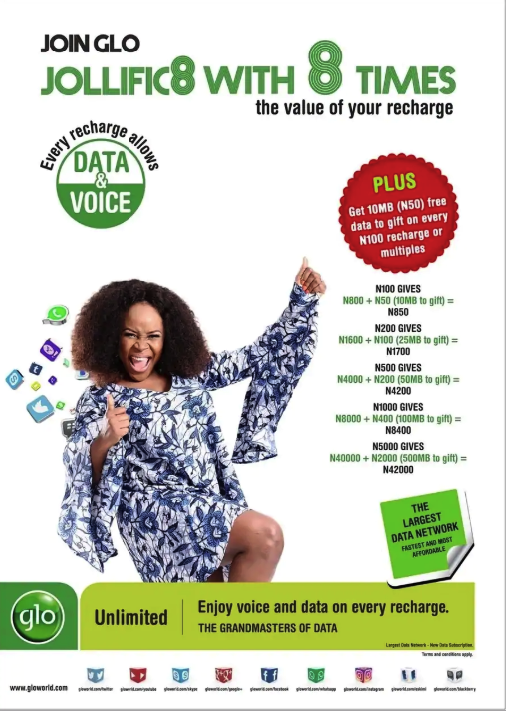 For ₦500, you get ₦500 to your main account, ₦250 for calls to all networks, ₦2,250 for calls to other Glo customers, 125 MB of data and 50 MB of bonus data. This bonus is valid for 7 days. For ₦1,000, you get ₦1,000 to your main account, ₦500 for calls to all networks, ₦4,500 for calls to other Glo customers, 250 MB of data and 100 MB of bonus data. This bonus is valid for 15 days. For ₦5,000, you get ₦5,000 to your main account, ₦2,500 for calls to all networks, ₦22,500 for calls to other Glo customers, 1.25 GB of data and 500 MB of bonus data. This bonus is valid for 30 days. If you want to check your bonus balance, you can dial *606# or *122#. If you want to share these benefits with someone else, you can only transfer the gift data by dialling *606# and following the prompts that appear on the screen. If you have already migrated out of Jollific8 but you still want to enjoy the bonuses for recharging, there is another option for you, and it is the Glo 4x offer. Just use the special Glo code for recharge, which is *323*PIN#, and you will receive your 4x bonuses. For ₦10,050, you will receive ₦40,200 (valid for 30 days). You can find the list of international countries you can call through this link. The calls to Nigerian networks cost 45 kobo per second, while calls to international networks are at 60 kobo per second. To check your balance, use the USSD code *122*30#. And there you have it, two great options from Glo if you want to get more for less. So do not forget to use your respective Glo recharge pin if you want to enjoy the many benefits you can get for your recharges.